This Nov. 29, 2017, file photo shows Microsoft CEO Satya Nadella speaking at the annual Microsoft shareholders meeting in Bellevue, Wash. Microsoft’s annual Build conference for software development kicks off on Monday, May 7, 2018, giving the company an opportunity to make announcements about its computing platforms or services. CEO Satya Nadella announced the new "AI for Accessibility" effort as he kicked off Microsoft's annual conference for software developers. The Build conference in Seattle features sessions on cloud computing, artificial intelligence, internet-connected devices and virtual reality. 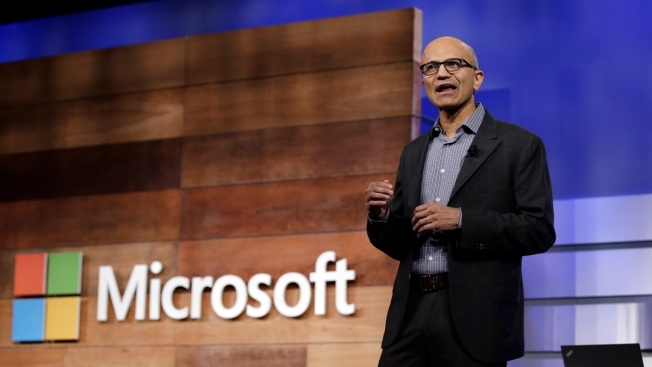 It comes as Microsoft faces off with Amazon and Google to offer internet-connected services to businesses and organizations. The conference and the new initiative offer Microsoft an opportunity to emphasize its philosophy of building AI for social good. The focus could help counter some of the ethical concerns that have risen over AI and other fast-developing technology, including the potential that software formulas can perpetuate or even amplify gender and racial biases. "People with disabilities are often overlooked when it comes technology advances but Microsoft sees this as a key area to address concerns over the technology and compete against Google, Amazon and IBM," said Nick McQuire, an analyst at CCS Insight.